Cantilevers deflect more than most other types of beams since they are only supported from one end. 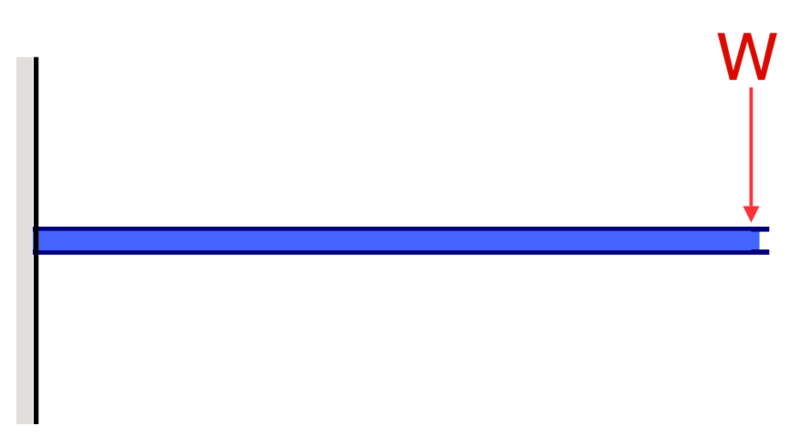 This means there is less support for the load to be transferred to. Cantilever Beam deflection can be calculated in a few different ways, including using simplified cantilever beam equations or cantilever beam calculators and software (more information on both is below). 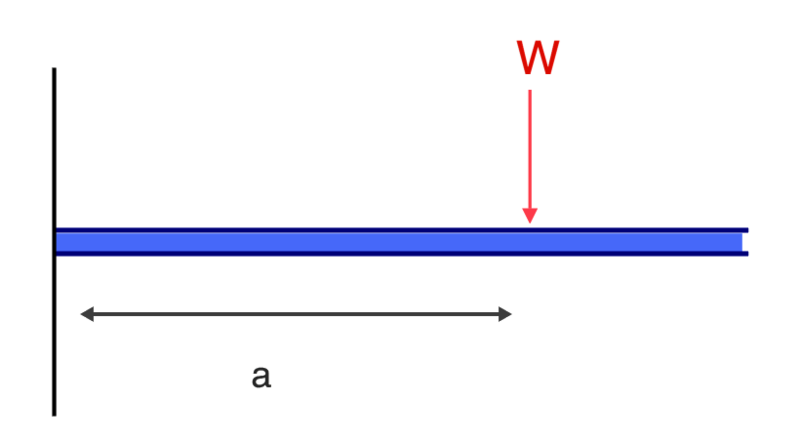 Cantilever Stress is calculated from the bending force and is dependant on the beam’s cross section. For instance, if a member is quite small, there is not the much cross-sectional area for the force to spread across, so the stress will be quite high. 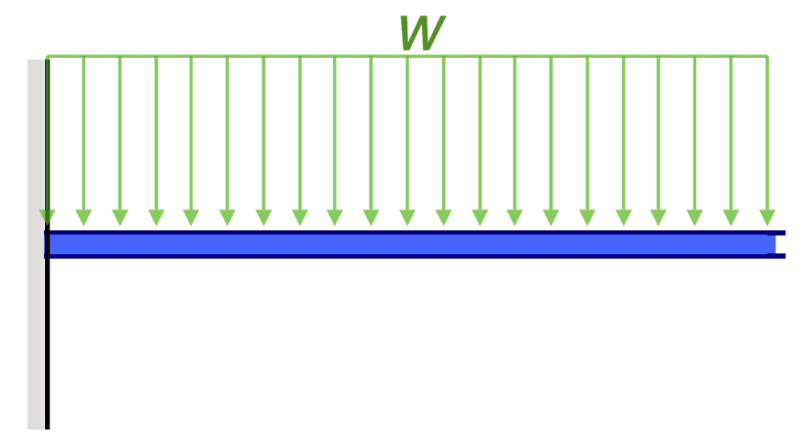 Cantilever beam stress can be calculated from either our tutorial on how to calculate beam stress or using SkyCiv Beam Software – which will show the stresses of your beam. Got a complex cantilever beam? SkyCiv’s free cantilever beam calculator allows you to model and analyze complex beams to calculate cantilever beam deflection plus more. The software is extremely easy to use and requires no installation or download. Add your member length, then apply a number of different point loads, distributed loads and moments to your cantilever beam to get your reaction forces, bending moment diagram, shear force diagram and deflection results.